Mount Zion Spiritual Baptist church North London UK. 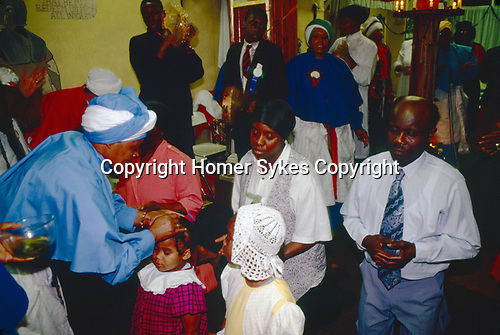 Mother Noel anoints members of the congregation This church service takes place in the front room of a small terraced house in north London. It is not entirely Christian.